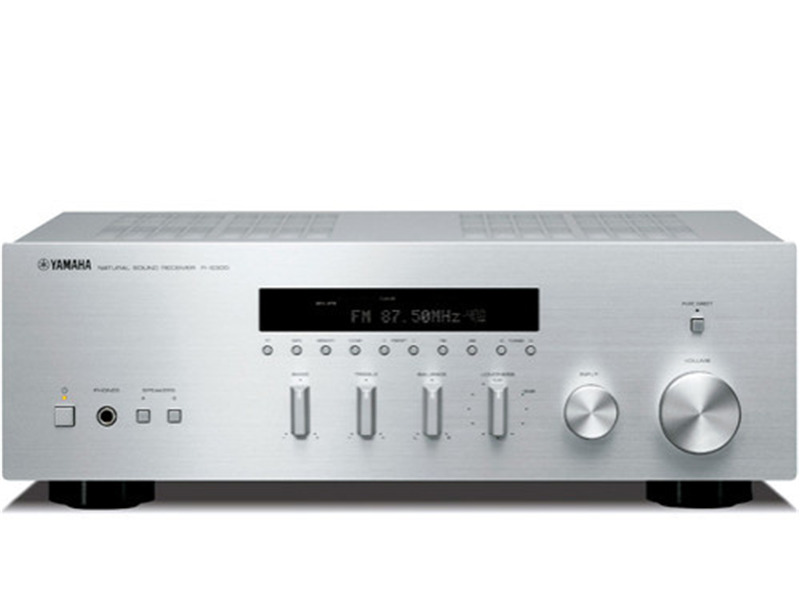 The Yamaha R-S300 is a very old school but a very good performing receiver. By "old school", I mean that more functions can be done at the receiver instead of via the remote. Examples? 1) You cannot scan for radio stations with the remote. That has to be done at the receiver. However, the remote can control radio stations stored in user preset memory. 2) If you shut off the receiver with the remote, it only goes into stand-by. If you push the power switch on the receiver, the receiver completely shuts off. 3) When plugging in headphones, the speakers say on until you manually shut off the speakers at the receiver. DO NOT let this old school functionality turn you away, because such operation puts you in greater control and makes for fewer things to go wrong. If you lose the remote or something goes wrong with it, you can still operate the receiver flawlessly. The Yamaha R-S300 is a very good sounding receiver and just plain easy to operate. Don't let the 50 watts per channel rating turn you away. It is very adequate power for all but the most power hungry speakers. voldoende aansluitingen voor de echte hifi fan.Heb deze week de cd-s 300.
erbij gekocht,wat een mooie strak geluid/ook cd direct..Tuner heeft mooi onvangst. 2.1 aktief systeem...De yamaha set r-s300 steek boven alles uit.strak !